A well-known longitudinal study called Adverse Childhood Experiences Study (ACEs) provides information on the affects of common childhood traumas which guides our music therapists’ work with a trauma-informed approach. This allows them to authentically join with native students and families in the healing process and in increasing resiliency against past and present traumas. The effects of trauma often manifest as delays in the typical developmental progression through Erikson’s Stages of Psychosocial Development. Therefore, during music therapy sessions, therapists work with students to meet their present needs and help them to move forward in their social and emotional development. Sunday, April 2nd at 3:00 PM: In recognition of World Autism Awareness Day, Xolie Morra will be speaking and performing with guitarist, Josh Tvrdy of the band “Xolie Morra & The Strange Kind,” at an event sponsored by the Snohomish County Music Project at the Northwest Music Hall located inside the Everett Mall. Singer and songwriter Xolie Morra of the Seattle band “Xolie Morra & The Strange Kind”, is an active representative of the Autism community, speaking personally about her life with Asperger’s Syndrome. As an artist who is on the Autism Spectrum, Xolie Morra Cogley uses her music to help people understand and change their approach to Neuro-Diversity. Xolie and the other members of her band have pushed their way past boundaries to inspire other artists with disabilities to do what they love. In a musical performance and short talk, Xolie Morra shares a unique and likely for many a refreshing view of what it’s like to be a performer with Aspergers syndrome at TEDxRainer 2015. 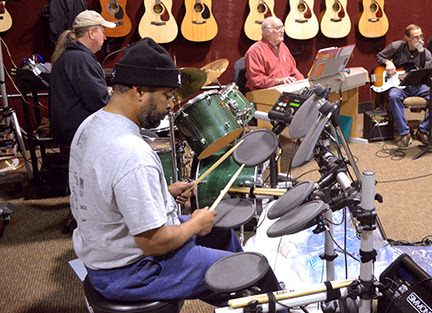 Similarly, the Snohomish County Music Project’s board-certified music therapists help people work through their challenges by using music as an instrument of healing. 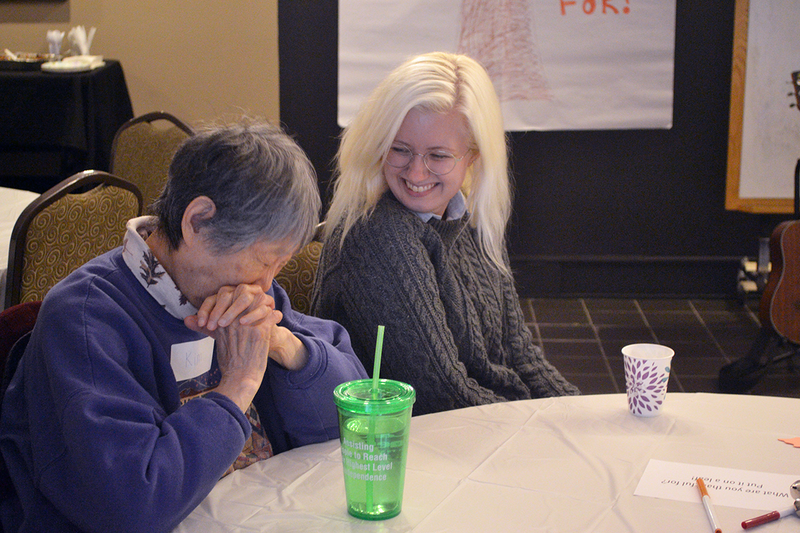 Their music therapy programs serve a diverse mix of people, including at-risk children and youth, seniors suffering with memory-related challenges, veterans with PTSD, as well as individuals with Autism. 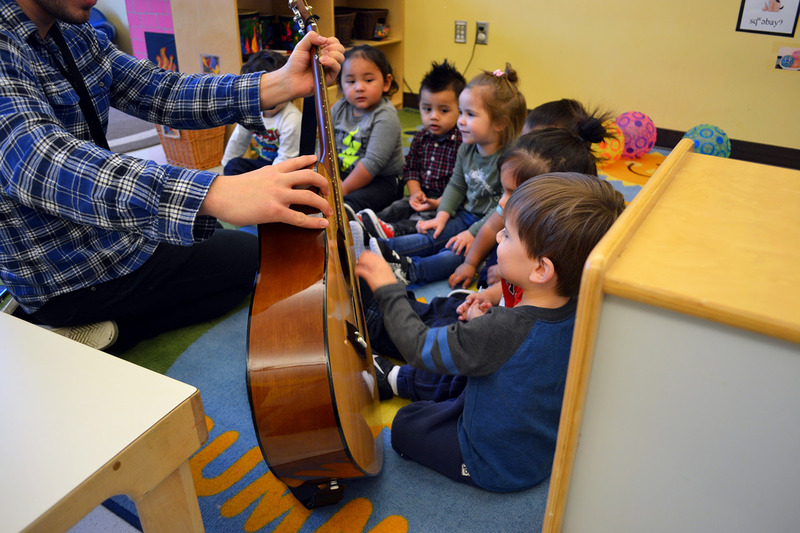 The Snohomish County Music Project offers group and individual music therapy sessions provided by board-certified music therapists and is recognized as a music therapy resource by the organization, “Autism Speaks”. Tickets are $10, available at the door or at http://xolie.bpt.me. The Northwest Music Hall is located inside the Everett Mall, near Macy’s. Directions and additional information about the venue can be found at www.nwMusicHall.org. Those interested in renting the Northwest Music Hall may find more information here. If you cannot attend, please consider making a donation to help pay for music therapy to low-income families who would not otherwise be able to afford it. Give the gift of music this holiday season by attending the Snohomish County Music Project’s First Annual Music Therapy Benefit Concert featuring musical selections from The Carpenters and Simon & Garfunkel. Members of the Seattle Rock Orchestra will perform as the Sound Edge String Quartet on December 3rd with powerhouse vocalists Jimmie Herrod, Tamara Power Drutis of Phinney Estate, and Ian Williams of The Thoughts. Join us for this unique classic music event taking place at the Northwest Music Hall in Everett, WA on December 3, 2016 . Doors open at 6:30PM. Early bird tickets are available for $40 through November 18, 2016. Regular admission tickets include hor d’oeuvres and one free drink for $50. VIP tickets include VIP seating, hor d’oeuvres and one free premium drink, and admittance to the Post-Event Soiree with Performer Meet & Greet for $100. From 6:30-7:30 p.m. there will be a Reception and Silent Auction featuring violins that have been transformed into pieces of art by students in Everett High School’s AP Arts Class and a Custom Designed and Hand Crafted Appalachian Mountain Dulcimer donated for our Silent Auction by local artist, John Ellis, with Sunny Side Dulcimers. 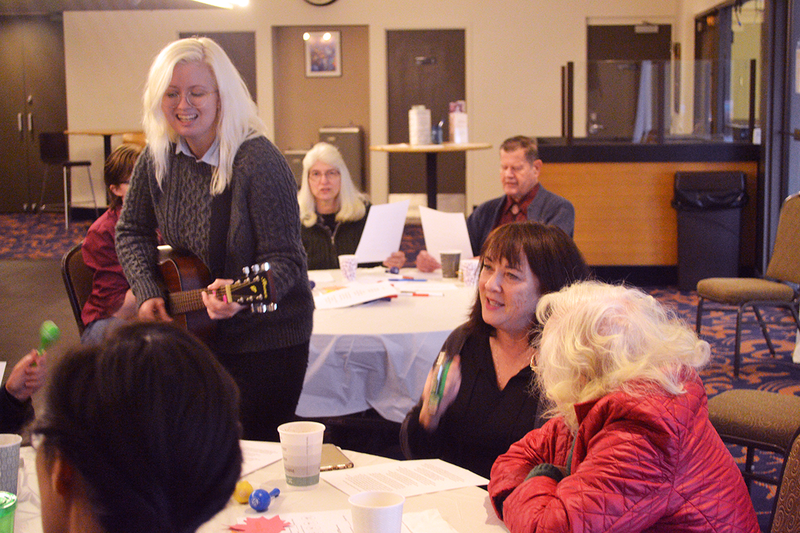 The Snohomish County Music Project is a non-profit organization that provides Music Therapy Services to at-risk children and youth, veterans struggling with depression and PTSD, and seniors suffering from aging-related illnesses. By attending this Music Therapy Benefit Concert, you’re not just enjoying the musical stylings of The Carpenters and Simon & Garfunkel – you’re helping us provide Free Music Therapy Services for some of our community’s most vulnerable citizens who would not otherwise have access to these services. 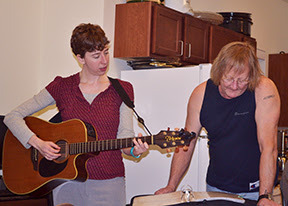 Victoria Fansler is a Neurologic Music Therapist at the Snohomish County Music Project. She studied Music Therapy at Arizona State University and completed her internship here. She works with at-risk youth programs, particularly children who have experienced trauma in Marysville, Quil Ceda, the Denney Juvenile Justice Center, and the South Everett Mukilteo Boys & Girls Club.